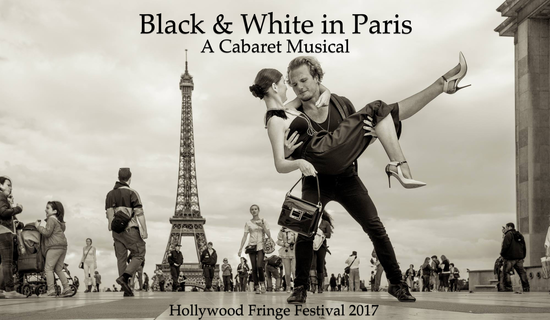 Christopher Broughton’s evocative black and white photos of Paris provide the backdrop for Kelby Thwaits’ Black & White in Paris: A Cabaret Musical which is sure to be one of the crown jewels of the 2017 Hollywood Fringe Festival. Barely 90 minutes the show is non-stop fun from beginning to end. The audience is seated on a sound stage at the Sunset Las Palmas Studios (sight lines are a bit of a problem and the only complaint I will register) and presented with a stellar cast of entertainers. 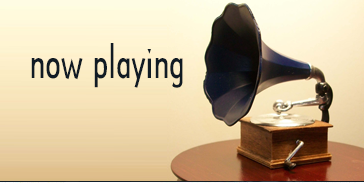 Thwaits himself starts off the show with “Feeling Good” and that is just what you will be feeling at the show progresses. There are two dozen songs ranging from the familiar—Cole Porter’s “I Love Paris” to the unfamiliar–Blue Lu Barker’s “I Got Ways Like the Devil.” Eric Zimmermann’s musical direction gives each song a sterling rendition and the four piece band, augmented at times by Thwaits, sounds great. 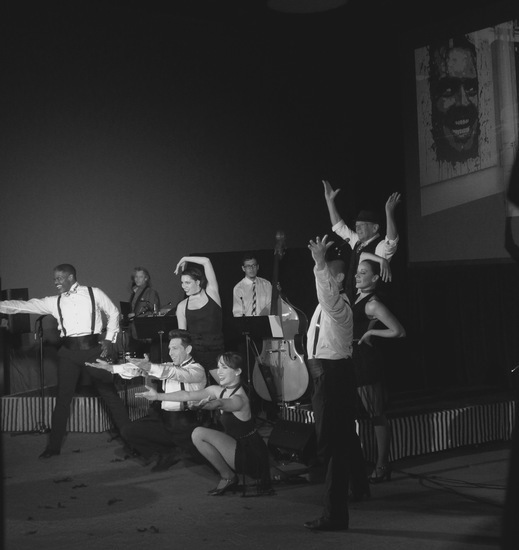 Orlando Alexander’s choreography is like an added character in the evening, whether in dance numbers like “Minor Swing” or augmenting a song with some lively dance steps. 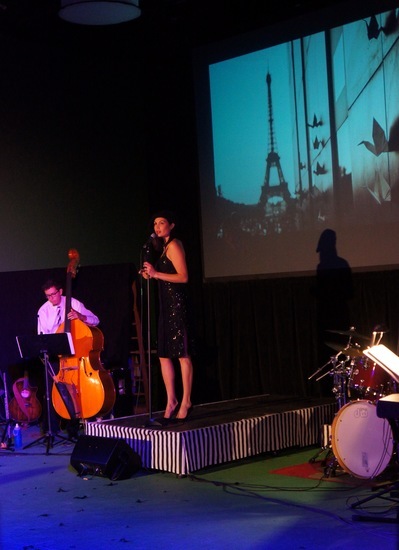 Katy Marcella, Tessa Fungo and Colette Peters form a great trio of dancers whether they are holding umbrellas or ostrich feather fans. Angela Manke’s costume design is another plus. Thwaits’ direction keeps the numbers rolling out at a fast clip. Black & White in Paris: A Cabaret Musical deserves a longer life outside of the Fringe Festival.